In the coming months, we're boosting service by adding 1250 new bikes and 2500 docks in the busiest parts of the system throughout Manhattan & Brooklyn. 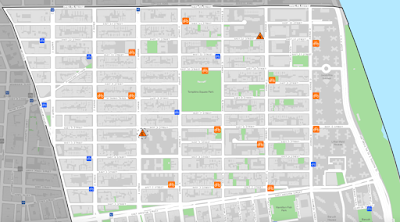 According to the DOT materials, there are 50 existing Citi Bike docking stations within the boundaries of Community Board 3*; 19 of those will see of expansion of anywhere between two and 27 bikes ... with four more stations added overall. There isn't a definite timeline on these additions — "in the coming months" per the Citi Bike tweet, and "early 2019" per the CB3 presentation. In late November, Citi Bike announced that it was tripling its current fleet of 12,000 bikes — and doubling the system’s coverage area — as part of a five-year, $100-million investment from the company’s new owner, Lyft. 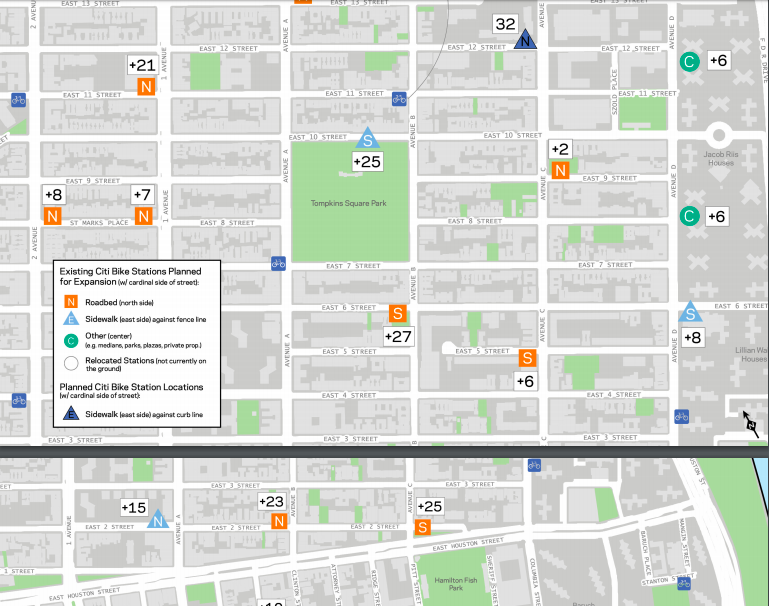 This addition makes Citi Bike the largest bike-share system in North America. 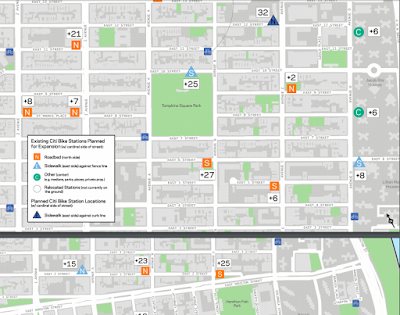 * The boundaries of CB3 are 14th Street on the north, the East River on the east and the south, and Fourth Avenue and the Bowery on the west, extending to Baxter and Pearl Streets and the Brooklyn Bridge south of Canal Street. Can't wait to the additional 21 docks on 11 St and 1st Av ! I hate it that the station is empty of bikes any time after 8 AM or there are no docks to return a bike after 6PM. Every citibike ride a person takes is one less Uper / Lyft / Via / taxi ride that clogs our streets, pollutes the air and enables another driver to ruin our life quality by using his horn illigeally. More bikes, but no talk about more enforcement for bike related infractions of the law. It seems to make sense to do so, but I guess Mayor Deblasio sees bicyclists as saints, therefore nothing needs to be done. Full disclosure: I am a bicyclist, pedestrian, and motorist New Yorker. doesnt busy bee bikes already rent bikes at 6th and A? Wonderful, so excited!! I ride my own bike too but CitiBike has helped my mobility a lot, especially with the buses and subway less and less reliable. Very grateful to have this option. 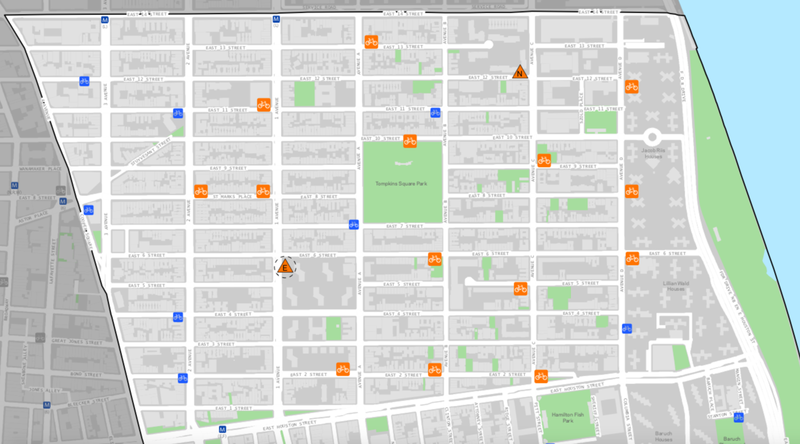 So now our neighborhood is under siege not just from bars, but also from Citibike. This is ridiculous - when will it end? It's clear that Citibike can't keep up with demand. Remember the quaint bike hatas' argument that nobody would ever ride them? I saw somewhere that over a million New Yorkers rode a bike last year, so I guess that one's non-operational. Now we need to greatly expand the laneage to accomodate all the new riders. Let's start with doubling the width of the lanes on 12th and 13th -- just to piss off the 14th Street Coalition crazies. They removed the dock at 12th and 3rd tho. Agree this is a really good step but wondering if the commuter demand for Citibikes and docks will immediately absorb the additional capacity especially in good weather. The electric bikes used by the delivery messengers are already policed (somewhat). As they aren't human powered they should be regulated. Citibike has the occasional electric bike but I haven't ridden one. Car owners your days of free public parking are numbered. Street should serve all travelers not just those with cars, I think this is great. @Charles the amount of times car drivers who go through red lights, turned in crosswalks whole pedestrians are in the middle of crossing, tortured everyone around honking their horns because they are late and pissed off, if off the charts compared to cyclists offenses. There is something really wrong when bus and subway service declines and fares go up - while at the same time, more money and expansion of a biking infrastructure. Maybe the libertarian policy goal? Get rid of government funding for mass transit (and those union jobs) and let people fend for themselves on bicycles. And only the affluent who live close to work and the fittest count...Who cares about the nursing home worker, cleaning staff, fast food worker who are on their feet for hours or elderly or handicapped? Just like the US approach to child care....why bother to support child care as in many European countries, just continue to let folks struggle individually. Anon. 3:23, the Citibike program costs the city next to nothing. Expanding bike infrastructure costs next to nothing. The MTA costs a lot and is controlled by the state, not the city. All of this should be lavishly funded and expanded, and the fact that the MTA is being starved into total dysfunction is not because the money's going to bikes, but because we have a political problem in the form of a governor who's been using the MTA as a cudgel to bully our mayor and demanding that we pay way more on top of all the tax dollars we're sending upstate for him to lavish on ski resorts and casinos and suburban transit programs. There are different funding sources and streams for transportation and definitely the State has starved the MTA for years. But monies spent by the City on a biking infrastructure could have gone to mass transit services. Similarly CitiBike is not “free.” Ultimately private sector customers are paying. Citibank could have funded a mass transit program, let’s say Access a Ride, or subsidizing fares for low income people. 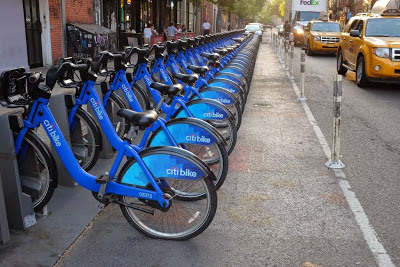 It sponsored CitiBike for good publicity after the financial crisis, per request from the Bloomberg Administration. It is clear that in NYC, bicycling is the symbol for the young and affluent. Take a look at ads for luxury housing - often times visuals of people on bicycles. No photos of models using MTA buses. The expansion of the bicycling infrastructure is just another aspect of the Bloomberg-initiated demographic cleansing of NYC. @7:13am: You nailed it completely, especially with this: "The expansion of the bicycling infrastructure is just another aspect of the Bloomberg-initiated demographic cleansing of NYC." BINGO, that is exactly what's happening. Come here if you're young and rich and entitled; go away if you are not young, not rich, and have been a mainstay of the community for decades. My opinion of the bike lobbyists is the same as my opinion of most paid lobbyists: they're busy twisting the system in their favor. Lobbyists are not an altruistic bunch, in my experience.